The Public Garden is about 1/2 mile up Newbury Street from the NEHGS. I headed there after the library closed on Saturday, my last full day in Boston. 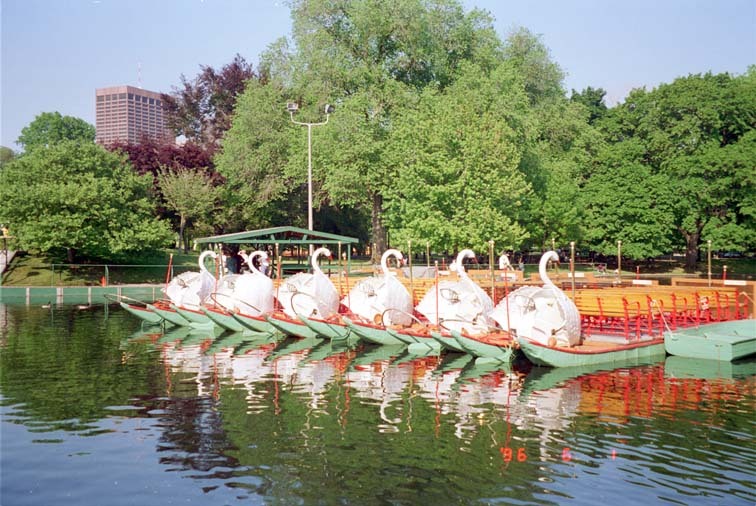 The swan boats were moored for the night in the pond in the Public Garden. 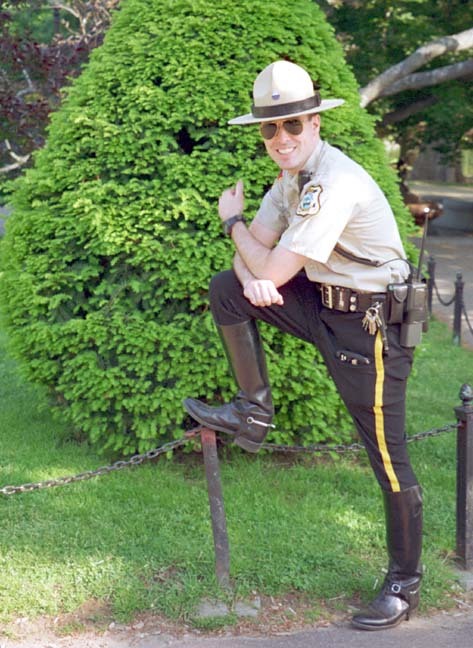 This policeman was enjoying the beautiful day and his post in the Public Gardens. 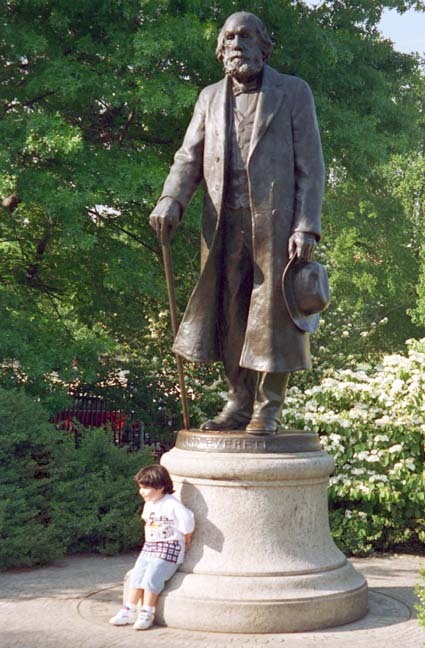 Edward Everett was a noted 19th century orator. He gave the two-hour oration at Gettysburg that preceeded Lincoln's famous Address.